[video] How to Download Emaze Presentations to Your Computer? [Emaze Download] How to download Emaze presentations to your computer? How to download Emaze presentations and watch them offline ? all the methods and the available formats in this article. In the free plan there is no option to download Emaze presentations to the computer, so you can only watch your presentations through the website and only with an internet connection. In the premium plan, you can download the presentation in some formats: PDF, video, HTML and Emaze format in order to watch Emaze offline. If you still don’t have the premium plan of Emaze, you can get a 30% discount for one year here. 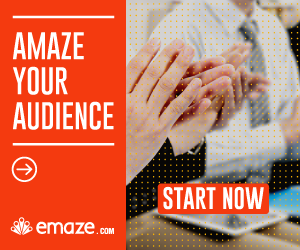 Emaze free account is no longer allows creating more than 5 presentations. we recommend creating unlimited presentations with Powerpoint and this one-payment premium templates. Short video: how to download Emaze presentations ? Why is it important to download Emaze presentations? In order to present the presentations while offline, you must download the presentations to your computer. It’s especially recommended to download the presentations if you’re intending to present this presentation in front of peoples. In this way, you will avoid the chance that you’ll need to stop your lecture because you don’t have an internet connection. This format can be useful when you want to let your audience read the presentation content easily and quickly. In addition, it’s a good solution if you want to share the content with others but you’re afraid they will copy your presentation. With video format, you can play the whole presentation at once and without any need to other clicks that play the slideshow. In addition, you’ll don’t need the presentation player software of Emaze in order to play it. In order to make your downloaded presentation more accessible and more attractive, I suggest to upload it to youtube, and then you can add to the video nice music for free. With this format, you’ll be able to present the presentations while offline in internet browsers. You can download the presentations player software of Emaze for computer and play Emaze files. In order to download this software, go to the website and click on download (It’s in the footer of the website). In which format do you like to download your presentations ?